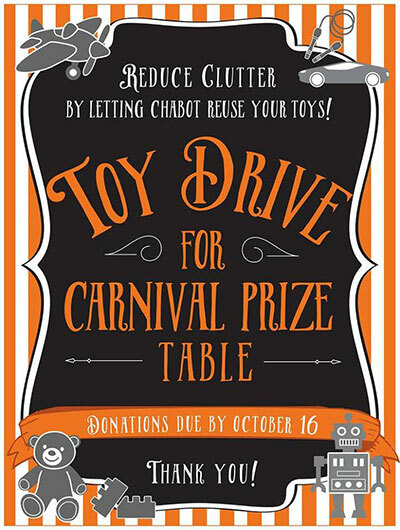 The Fall Carnival Toy Drive is underway and now accepting toy and book donations. This is the perfect chance to clear your kids closets and drawers of unwanted toys and books. We need toys and books for our prize table for the annual Fall Carnival in October. We’ll not only accept toys, but also jewelry, stickers, pencils or anything you think would be a fun “prize.” The donation box will be in the school front office from now until October 16.